Imprint Method: Embroidery, up to 8000 Stitches - The Game Day duffel bag is ready to go whenever you are. 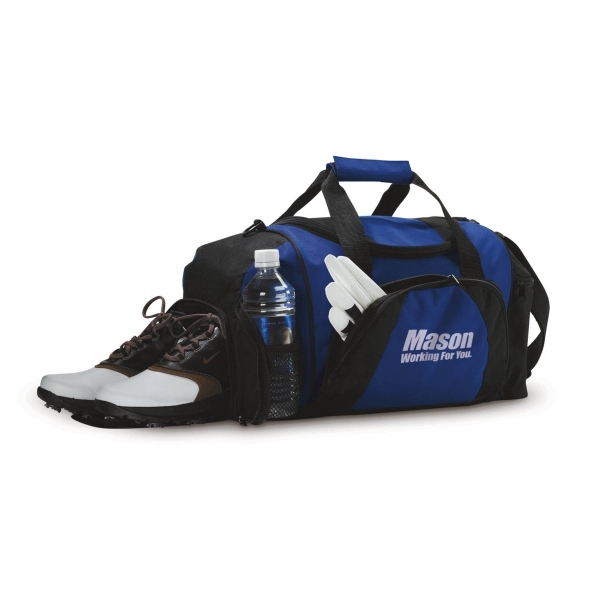 It is designed with a ventilated shoe storage section and mesh pockets for all of your gear. Features 20 woven handles with a padded cover and adjustable, detachable shoulder straps. May be customized with your company name and logo. Please add color code after product number when ordering. Size: 10 " x 20 " x 10 "